Cushioned padding for on and off-road adventures. A sweat and odor-resistant seat cushion, the material is lightweight and extra durable to give you proper support without making you sweat. We use heavy-duty sport foam to provide a softer ride that's not only thicker and more stable, but also withstands long, hard rides and long-lasting use. Crafted with slip-resistant particles, our seat cushion cover helps improve ride quality by keeping you from sliding around while pedaling, turning or climbing hills. This cover measures about 10" * 9" (L*W). Fits most large bike seats, Cruiser, and Wide Style Seats. 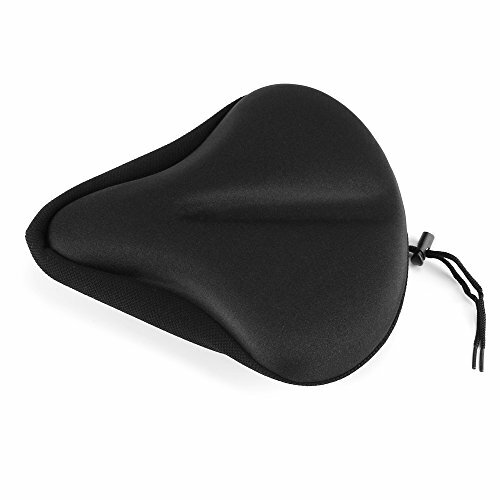 We selected the best materials for our seat cover so it feels just right on your saddle and lasts a long time. Includes a NON-SLIP Underside that helps keep our seat cover in place! If you have any questions about this product by BESUNTEK, contact us by completing and submitting the form below. If you are looking for a specif part number, please include it with your message.